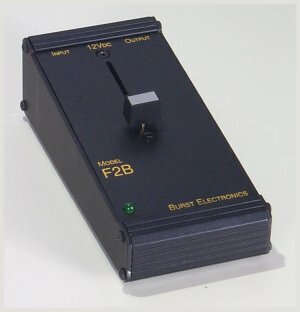 The F2B Fade to Black Module is a single input device. The video input fades to black (7.5 IRE) through the action of a fader bar. The output is dc clamped to zero Volts. Video input is required for operation. The F2B is 12 Vdc powered, wall module included.